Go whale watching in Seattle! 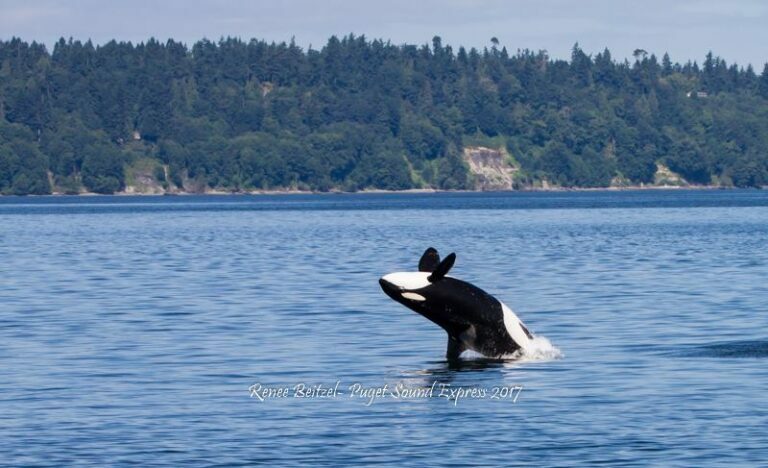 See orcas, humpback whales, and all the majestic wildlife in the San Juan Islands – departing just 15 minutes north of downtown Seattle. With 3 generations of family dedication and experience, we guarantee you’ll see whales or your next trip is free! Cruising at over 40mph, the MV Saratoga will take you to the spectacular San Juan Islands in a little over an hour. 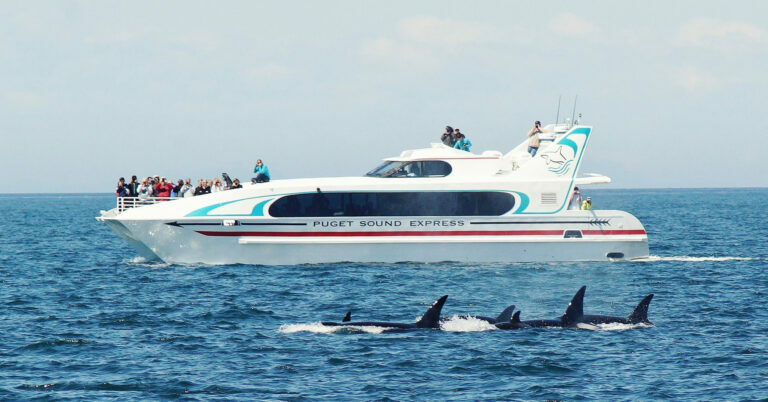 Ride the fastest whale watching boat in the Northwest on the only half-day whale watching tour from Seattle. The Saratoga features spacious, comfortable indoor seating and large windows, wheelchair-accessible restrooms, outside viewing decks, and a great galley/cafe — enjoy Sherri’s signature, freshly baked “blueberry buckle” on every trip. 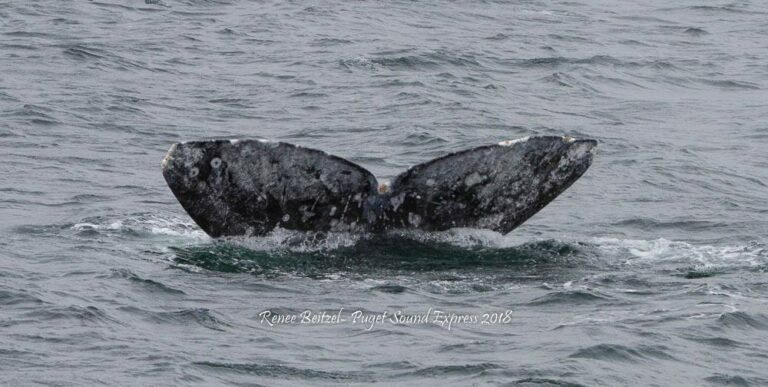 2019 Gray Whale Tours: March 9-April 25. This is a 2-1/2 hr trip. 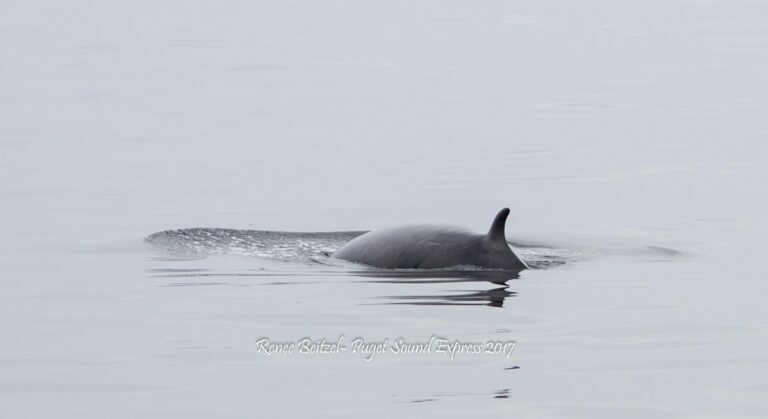 2019 Half-day Whale Watching Tours: April 26-October 26. This extraordinary 4-5 hr trip connects you with a menagerie of whales and wildlife.